Instructor: Tony van Hasselt, A.W.S. Join Tony van Hasselt, A.W.S., for an exciting workshop in Italy this autumn as he leads you through some of the loveliest parts of Tuscany. Explore and paint ancient hilltop villages, gently undulating vineyards and farmland as he shares his experience and love for the watercolor medium. Your adventure may start with an optional three nights in Cortona, the lovely town made famous in the book and film "Under the Tuscan Sun." Enjoy a few days of tranquility while acclimating to the Italian pace of life. With sketchbook and camera in hand, explore Cortona's many interesting piazzas and back alleys. The actual workshop week gets underway as we head to Pienza in the Val d’Orcia, near Siena. Pienza was rebuilt as an "ideal town" in the 15th century under the patronage of Pope Pius II. To this day, it is difficult to tell whether the town itself is more pleasing, or its lovely views across the Tuscan countryside. Tony plans to hold daily demonstrations and assist individually while we’re also exploring nearby picturesque villages such as Montepulciano, San Quirico d’Orcia and Buonconvento. A longer excursion is planned for a visit to Siena. Of course, when not painting, we’ll partake in wine tasting and sampling the Italian cuisine. Feeling energetic? Enjoy a walk or bike ride on a peaceful back road. This native Dutchman has been elected to signature membership of the American Watercolor Society and for decades, organized and taught watercolor workshops throughout the US, Mexico and abroad. 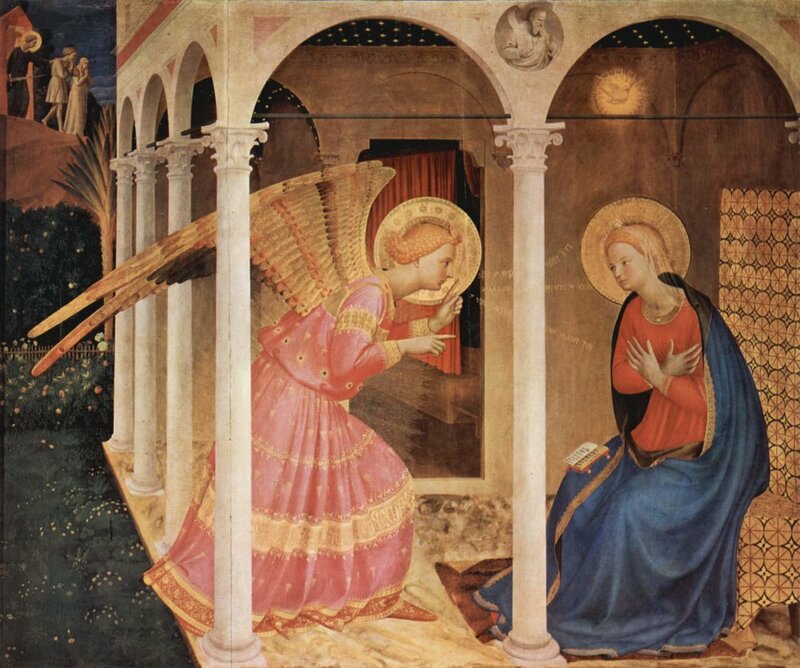 He has traveled and painted widely in Italy, France and throughout the continent. Tony is a plein air painter who enjoys sharing his experience with students. His aim is to teach in a sequential manner, building on what has already been presented. Although drawing ability comes first, the focus is on the art of picture making, composition and design. These are skills applicable in any medium. He also encourages sketchbook journaling to create memories of an area, often using such sketches as preparation for larger efforts. Tony has written and co-authored three books on watercolor and produced several how-to DVD presentations. Tony van Hasselt conducts a plein air workshop demonstration. Demonstrations will be in watercolor but students using acrylics are welcome. Studio painters might consider this workshop as an introduction to working on location, while finishing touches can be added later in the comfort of your studio. Weather permitting, the daily schedule starts with a plein air lecture-demonstration. After some on-location advice, students are free to select a subject and paint on their own, while Tony assists on an individual basis. Tony considers himself more of a coach than an instructor. After all, there are many ways to approach a subject and the enjoyment is in exploring your own style and direction. 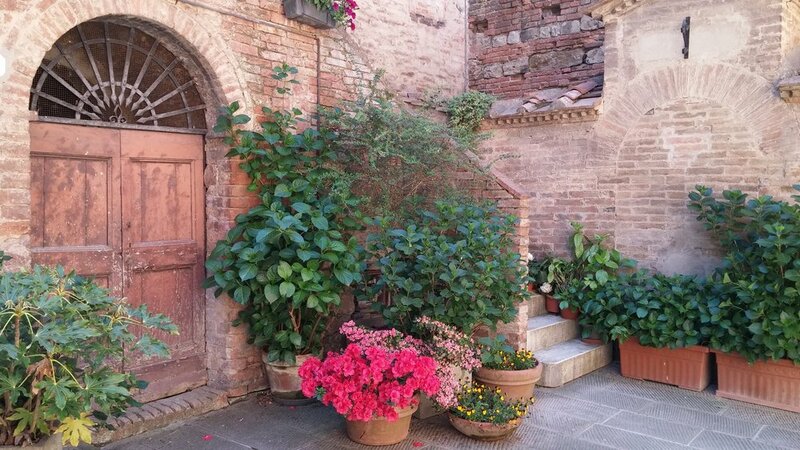 While there will be no formal instruction during this portion of the trip, you will be free to paint or sketch, as you like, and instructor Tony van Hasselt will be in Cortona to offer informal advice and guidance. 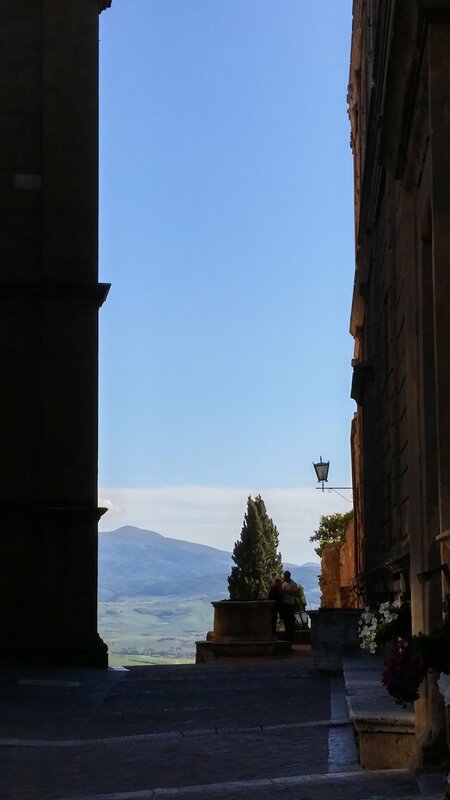 On Friday, when the formal portion of the workshop begins, a van will pick you up at the hotel to transport you to Pienza. Workshop participants who have not participated in the pre-workshop visit to Cortona will be met at the Florence Airport. Cortona-visitors will be picked up from their hotel and everyone will proceed to Pienza where we’ll check into our workshop hotel. You will have the afternoon to settle in. A short walking tour of the town will be followed by dinner in a local restaurant and workshop orientation provided by the instructor and your trip leaders. After breakfast, taken at the hotel, we will paint plein air under the guidance of your instructor at locations around Pienza. You’ll have the choice of painting ancient buildings, courtyards or piazzas, or painting the breath-taking views outward from this hill town. Plein air painting at locations in and around Pienza in the morning. In the late afternoon, following siesta, we will travel to Buonconvento, where you can paint and explore, followed by dinner. 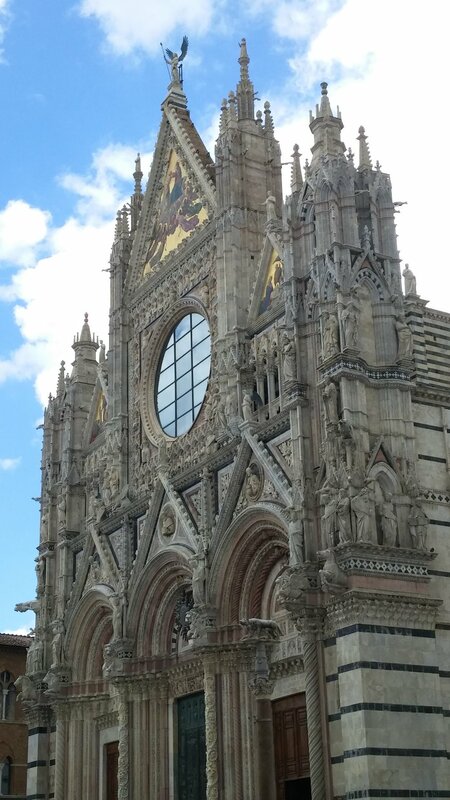 Day excursion to Siena with a guided tour of historic city center and cathedral. You will have time to sightsee, sketch and paint – or shop. Plein air painting at locations in and around Pienza. Evening visit and dinner in San Quirco d’Orcia. Visit to open-air market in Montepulciano, with time to paint and explore in this famous Tuscan town. Evening art show and group critique, with instructor. Farewell dinner. 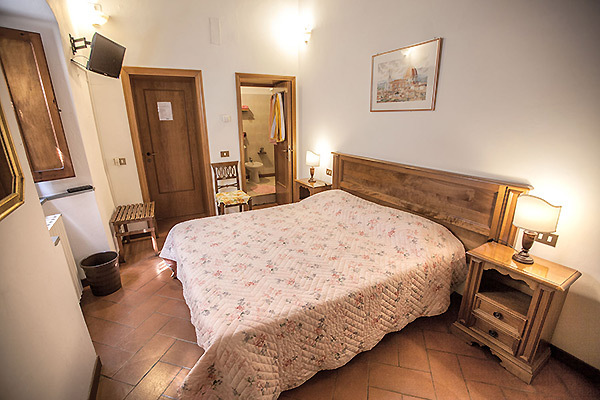 You will stay in a 3-star hotel located across the street from Pienza’s historic center and a few blocks from Pienza’s cathedral and central square. There is a swimming pool, so bring your suit, and the hotel has a special arrangement for battery-powered bicycles from a nearby bike shop. In Pienza the group will take dinner at restaurants in or near Pienza.